Aug. 29, 2013, 3:22 p.m.
By Ken Doctor @kdoctor Aug. 29, 2013, 3:22 p.m.
Ah, the joys of big and of little. In media businesses, little means few if any layers of bothersome decision-making. Agility. Nimbleness. Independence. All great and positive values. But little can also mean limited reach and resources. Little can mean a tough, long slog to success of any satisfying scale. Big, of course, means impact: power of product, of story, of idea. Ability to reach lots of people and customers. Big, though, inevitably means greater expense and often cumbersome, sometimes laughable, response to market changes. At worst, it means paralysis. What if you could mix big and little — and take advantage of the best of both worlds? That’s the aim of one of the more interesting new partnerships in news media. In early August, NBC News and GlobalPost announced an unusual mating. No immediate cash is changing hands in the deal, but there’s a lot of other currency involved here that tells where smart content companies — big and little — are going in the next digital age. Let’s look at the newsonomics of big and little, and their mating. NBC is one of the behemoths, with tremendous reach and substantial expense — and, historically, not one of the nimblest companies around. Boston-based GlobalPost is a four-year-old for-profit startup that improbably launched an ambitious international news site — built on in-country original reporting — in the immediate aftermath of the Great Recession. It’s been much decorated with awards, including a Peabody, since. What did little GlobalPost and big NBC News see in each other? 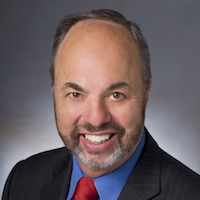 GlobalPost founder and CEO Phil Balboni knew what he wanted in a mate. After four years of learning, he’d found that his original hopes for a well-diversified business model couldn’t be realized. While syndication of GlobalPost content accounts for 19 percent of the company’s revenue and membership and “other” about 12 percent, both those numbers are significantly less than what Balboni had hoped. Even before the digital ad challenge got tougher, Balboni knew he didn’t want to become too dependent on advertising. But today, digital advertising accounts for 69 percent of revenue. GlobalPost is finding some real success in direct selling, bringing in high-profile clients like Shell, Xerox, Lockheed Martin, Chevron, and Liberty Mutual, some of the same brands we see populating a number of premium news sites. However, the ubiquitous downward price pressure on non-premium ads is having an impact. An ad partner whose ad technology stack could help GlobalPost better monetize its non-directly-sold inventory — pulling rates up from “remnant” pricing that, as at many other publishers, has dropped to mid-double-digits in cents, not dollars. Already the NBC Universal Advertising Platform is monetizing a substantial portion of GP’s ad impressions, taking advantage of its affluent and well-educated audience. A shot in the arm of consumer awareness. While GP has grown impressively to 3 million monthly unique visitors and 11.5 million pageviews — about a 45 percent increase year-over-year — that’s not enough. One sign of having “arrived” for startup news sites is the 10 million uniques plateau. Slate finally got there earlier this year and trumpeted that fact. GlobalPost needs much greater awareness to get there, and the NBC promotion of its brand and its stories will help. “We’re in the top 35 news sites, but we’re still a whippersnapper,” observes Balboni, who says GP is close to profitability. What NBC News needs is more high quality international news content, at a low cost. Staff-produced content is expensive, and NBC, like its network peers, have seen significant cutbacks in staffing for years. For David Verdi, NBC News’ senior VP for worldwide news gathering, the GlobalPost deal is an extension of a commitment he made long ago: produce more content than ever before to feed the multi-platform beast, at a lower budget than ever before. Ten years ago, many editors, print and broadcast, would have said it can’t be done; many of those have left the field of combat. 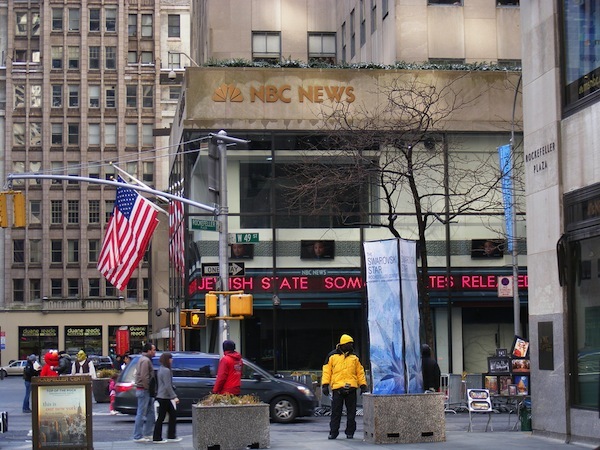 NBC first partnered with U.K. broadcaster ITN in 1994. Verdi says that relationship has doubled NBC News’ global reach and made possible lots of shared resource efficiencies. Full circle, ITN/ITV news chief Deborah Turness assumed the presidency of NBC News this month, becoming the first female president of one of the Big Three U.S. network news broadcasters. Inevitably, top editorial managers are facing a new world of metrics that no one taught in journalism school. Verdi has to take into account costs per program and per story as he strives to remake the business. It’s the high-end professional content that drives this relationship. The GlobalPost deal helps fill some holes in NBC’s global map. GP’s editorial strategy places 13 full-time senior correspondents largely in parts of the world it sees as undercovered: Bangkok, Brussels, Hong Kong, Istanbul, Jerusalem, Johannesburg, Lima, London, Mexico City, Moscow, Nairobi, New Delhi, and Seoul. GP also works with a roster of 50 in-country freelancers worldwide. One acute observer of network international news — Andrew Heyward, who ran CBS News from 1996 to 2005 — thinks the partnership is a smart move, and an update of an old practice. “It is an outsourced version of the stringer system,” says Heyward, who notes that he has done consulting for NBC. Networks can make sure they have a presence on big stories by sharing video globally — but winning against competitors means distinguishing yourself, now more than ever. “The next battle is to do reporting that stands out,” says Heyward. GlobalPost, then, being exclusive to NBC News, among its competitors, helps provide that differentiation, even as it flies in its Richard Engels to put the NBC face on the big story. The NBC/GP deal, interestingly, was driven by NBC chief digital officer Vivian Schiller, who took on her post two years ago. Expect more such deals, Schiller told me, especially as NBC fills out its topic channel business. “This is a model to push external reach and footprint,” she says. Both Schiller and Verdi long knew Phil Balboni, who built New England Cable News, so let’s note the continuing importance of trusted — and trustworthy — relationships in getting these kinds of deals done. It’s also noteworthy that the digital side of the business brought it to the editorial side, aiming at potential digital/broadcast wins. Too often, chafing between legacy and digital units has prevented such deals at many media companies. It only makes sense that Schiller would use such a third-party content strategy at NBC. Though her experience running digital at The New York Times was more internally focused (the Times remains mostly resistant, if not allergic, to non-Times content), her NPR experience may be instructive. Think about how often you hear other media companies’ reporters on air — an intelligent, free borrowing of content from highly trusted sources. As Schiller builds out that strategy, she can also borrow from the DFM playbook. On a local level, the biggest story in rewiring the content landscape is still being written by Digital First Media. Digital First Media’s Thunderdome, led by digital news pioneer Jim Brady, profoundly embraces the strategy — and the emerging economy — of third-party content. In a nutshell, DFM CEO John Paton’s transformation of Journal Register and MediaNews properties, under the DFM banner, calls for a singular staff focus on local news. Since readers still expect non-local news in their papers and on their websites, the DFM aim is to assemble that non-local stuff from a variety of partners, as cheaply as possible. While many newspapers have complained about their reliance on AP (and its cost), few have moved to license lots of topic-specific third-party content. While many newspaper chains have begun centralizing print and digital page and channel development, no one else is doing both — the licensing and the centralization — on the scale of DFM’s 40-person Thunderdome unit. For DFM, Thunderdome is wholly aimed at the digital side of the business, but regional print hubs are beginning to do parallel work, beginning at DFM’s Los Angeles News Group. There’s a high level of complexity in the creation of the digital channels, mating big and small (sites and content providers, on several levels) and national and local. Explains top Thunderdome Editor Robyn Tomlin: “On the digital side, we are working with NewsCred to develop channels that will contain both the best/most relevant national content — and they will integrate all relevant local content. Among other models, DFM uses the same no-money-changes-hand arrangement of NBC and GlobalPost, as bigger DFM sites provide traffic and awareness for smaller sites. In some cases, DFM pays directly pay for content. In still others, it engages in ad revenue share deals. The partner with the bigger ad sales group, or best ad contacts in a sector, sells the client and shares the proceeds. Sometimes, that’s DFM; sometimes, it’s a partner, like The Street. There’s that big-and-little mating playing out again. These cost-of-content economics are a linchpin of the new content business. The paradox is ever clearer. Simply, no one can afford the substantial full-time costs of the old legacy editorial operations, given the great decline in advertising. Yet, voracious readers — especially those now asked to pay for all-access subscriptions — demand more high-quality content. If smaller companies can produce high-quality content at between 40 to 60 percent of what the big guys still have to pay, then the mating of little and big makes profound financial sense. Expect to see lots more of it. We don’t often get a chance to pick our family. In the newsonomics of big and little, we do. Who’s the little brother or sister you’d like to hang out with every day, and feel comfortable introducing to friends — and customers? Who’s the big sib who’s reliable and has your back? Can you pick only a single sibling? GlobalPost’s relationship with NBC is a fairly exclusive one; media partners must decide what they are giving and getting in such exclusive relationships. Family breakups can be wrenching — and costly. Media companies — large and small — must choose carefully. Photo by Tammy Simmons used under a Creative Commons license. POSTED Aug. 29, 2013, 3:22 p.m. Doctor, Ken. "The newsonomics of big and little, from NBC News and GlobalPost to Thunderdome." Nieman Journalism Lab. Nieman Foundation for Journalism at Harvard, 29 Aug. 2013. Web. 19 Apr. 2019. Doctor, Ken. "The newsonomics of big and little, from NBC News and GlobalPost to Thunderdome." Nieman Journalism Lab. Last modified August 29, 2013. Accessed April 19, 2019. https://www.niemanlab.org/2013/08/the-newsonomics-of-big-and-little-from-nbc-news-and-globalpost-to-thunderdome/.